Is your mission for the day to plan a corporate event or a pre-conference activity in Porto? Are you running short on ideas? Porto is famous for its wine and hospitality, warm welcome and sense of fun. This old city of merchants is packed with fascinating tours and attractions , amazing eateries and great nightlife. 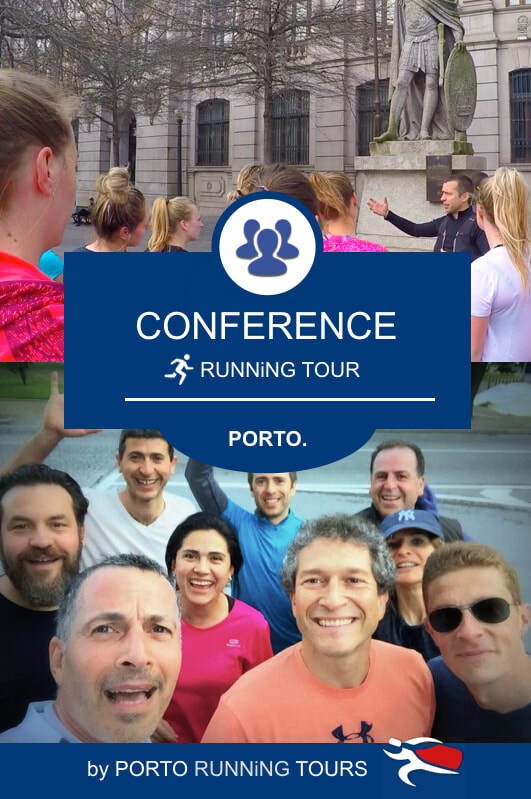 At Porto Running Tours we are offering group runs for conferences, incentives and meetings. Time is limited when attending a conference, so give your delegates the opportunity to see the sights of Porto in a short space of time. We offer city running tours that your delegates can enjoy and we make sure that they are back to their hotel, fresh, on time and ready for the day ahead! ​We can help with the creation and organization of an early morning run as part of your MICE activities. It can be arranged to start from a convenient place (Hotel) depending on where the majority are staying or outside the conference venue. The distance and pace of the run can be arranged to match your delegates' abilities. ​Let us know what you need, we can work together to define what is possible and put a fair price tag on it. Just give us a call, send an email or fill out the contact form below.